OE. 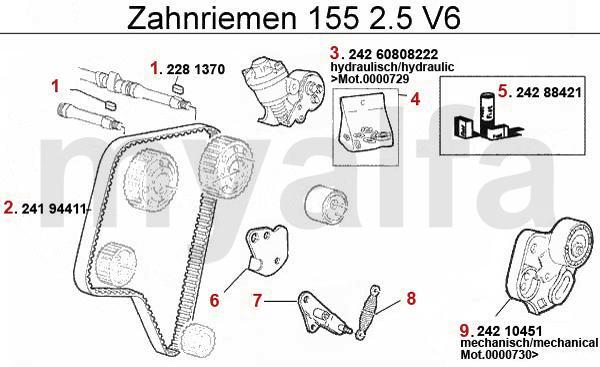 60777065 GASKET SET FOR HYDRAULIC BELTSTRETCHER 6-CYL. OE. 60588421 BELT TENSIONER MECHANIC.